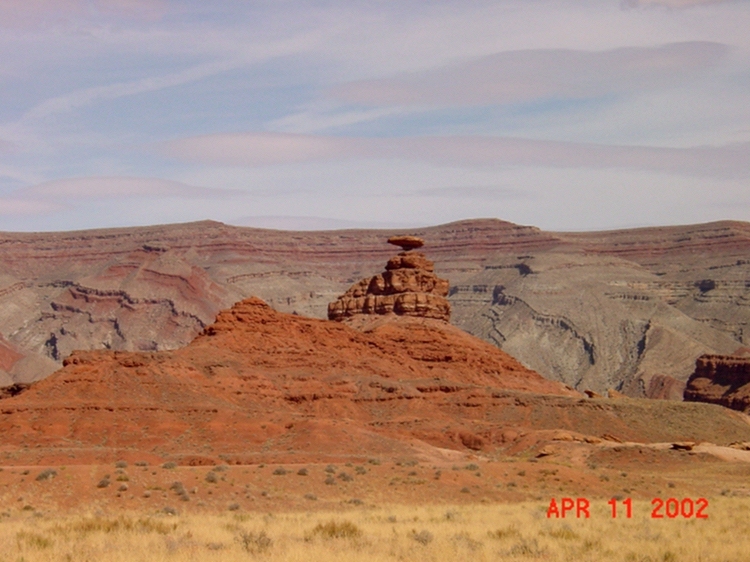 Leaving on Hwy 163 E, go thru the hamlet of Mexican Hat, well known to the river rafters and for the guy with the sombrero, north of the settlement on the east side of the road. 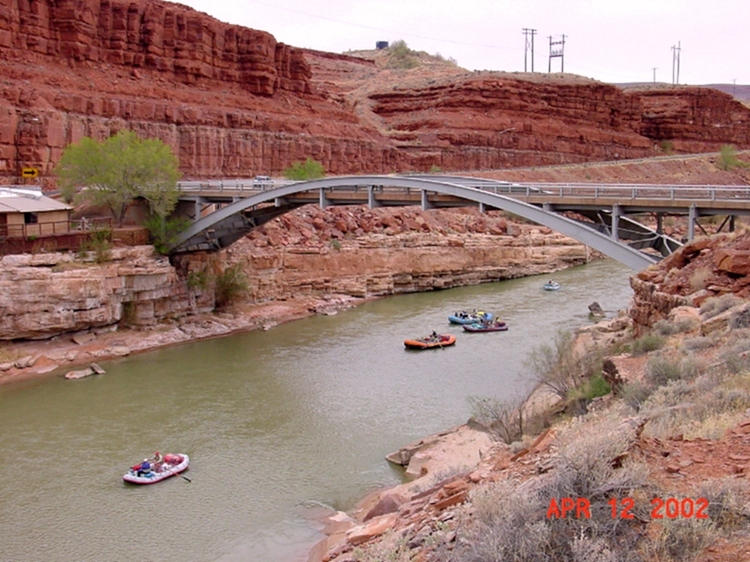 Turn north on Hwy 261 then west on Hwy 316 for a must stop at Goosenecks State Park for a quick look and see where the San Juan River has gouged out the goosenecks. 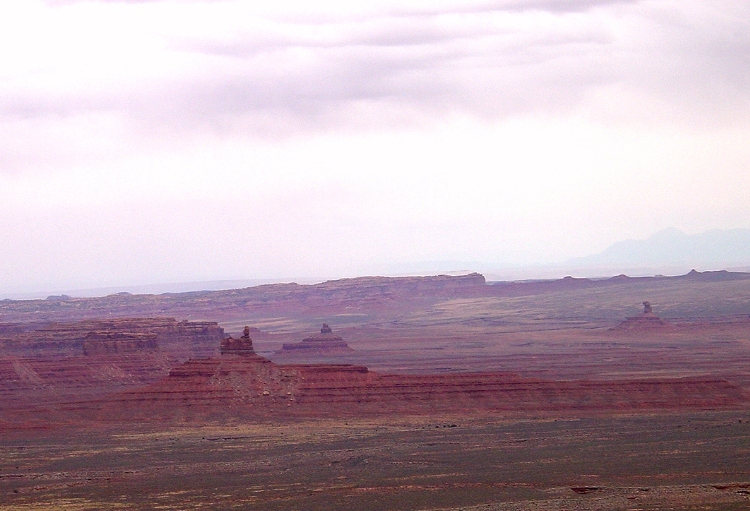 Back on Hwy 261, optional to go thru Valley of the Gods, a much smaller version of Monument Valley. 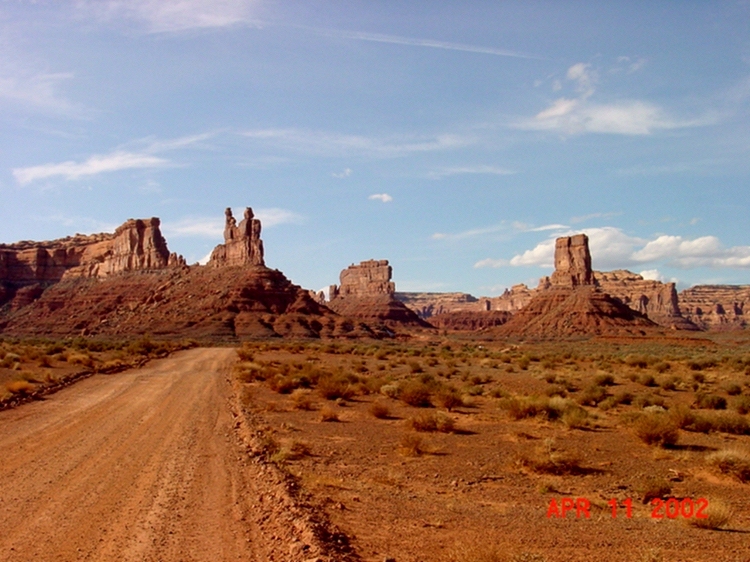 Continue on Hwy 261 and take the exciting dirt road portion (well maintained) up Mokee Dugway to Cedar Mesa -- great views of Valley of the Gods from the turn-outs. 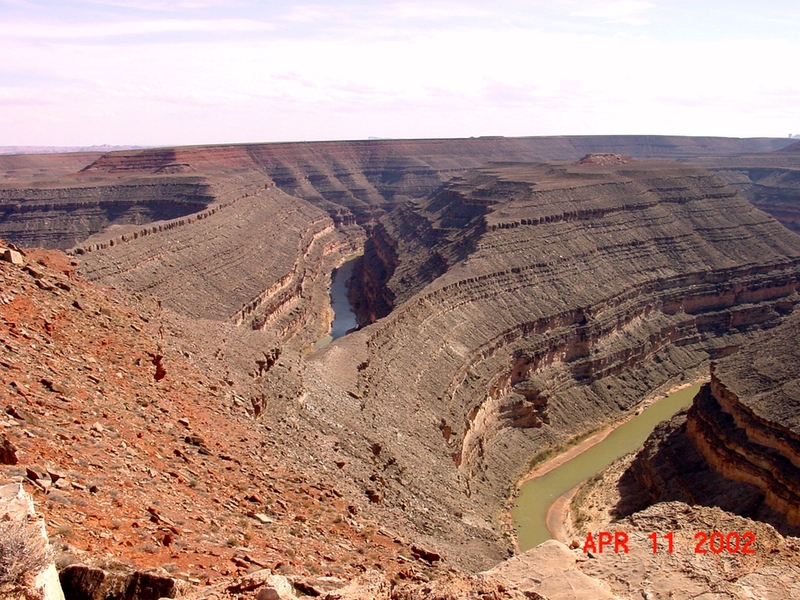 The road becomes paved again at the top and where there is a 5 mile dirt road to Muley Point with more views of the goosenecks. 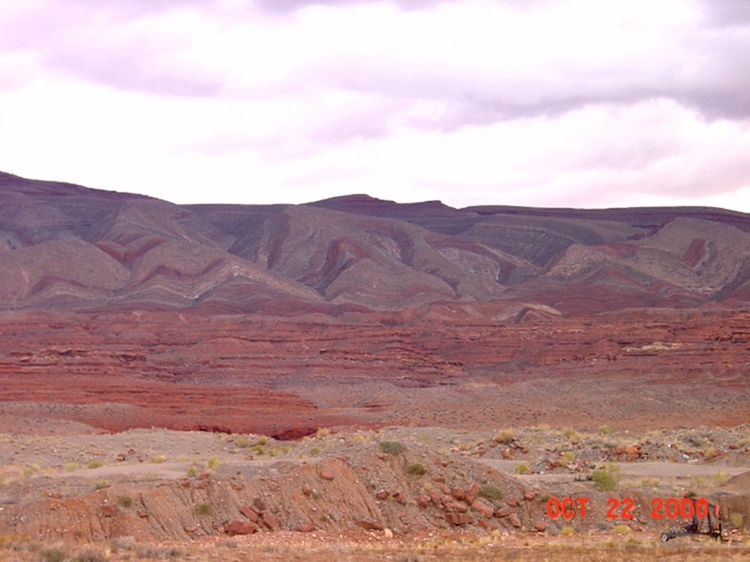 More pics of wonderful sights around Mexican Hat. Stay on Hwy 161 to Hwy 95, then go east to Hwy 191 and Blanding. 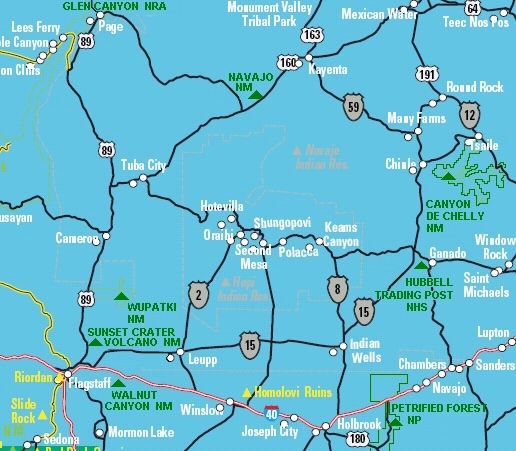 Going west on Hwy 95 will take you to Natural Bridges NM, optional. We have not been on this section of the road to Blanding. 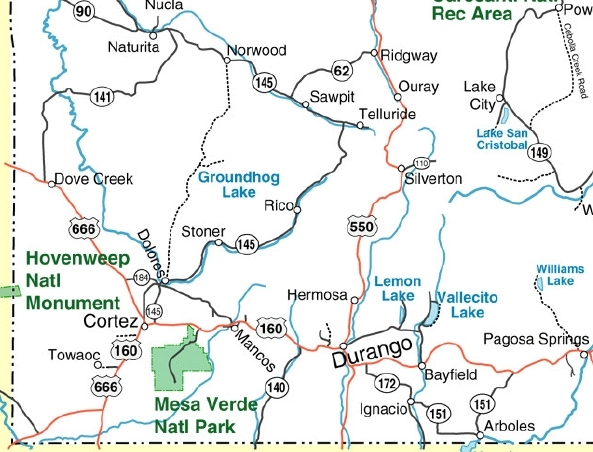 There is the Dinosaur Museum in Blanding that I hear is very nice but we have not seen that either. 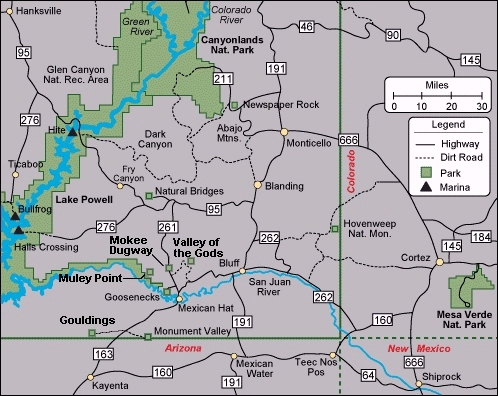 Take Hwy 191 north to Hwy 666 at Monticello and go east thru Cortez, CO, a fair size town with many services, then Hwy 160 E to Mesa Verde. Another great park. And there are hotel rooms at the Far View Lodge in the park. 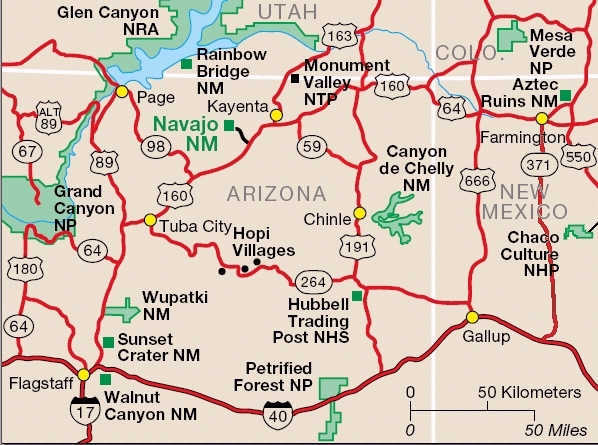 You could do it in a couple of days -- maybe pick a few pueblos to see. Visit the visitor center for worth while ranger programs. Usually fairly busy here because of it's reputation as the finest and best preserved cliff dwellings in the U.S. and as a World Heritage Site. 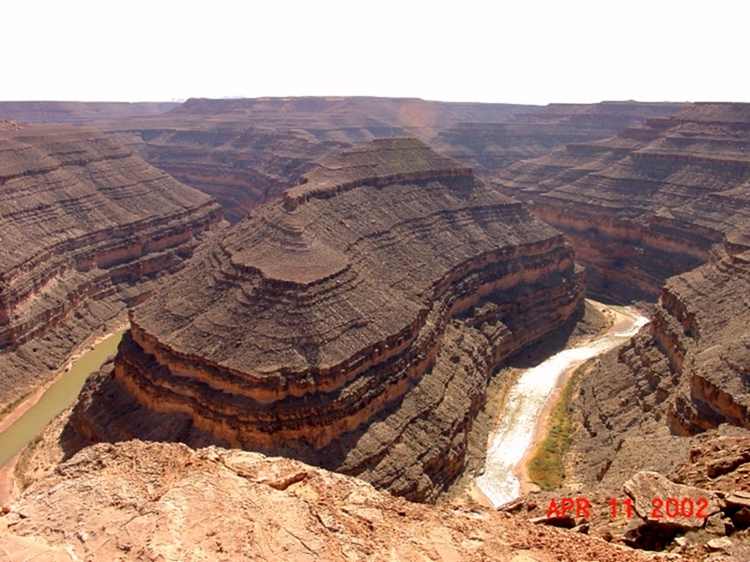 (Other nearby World Heritage Site are Chaco Canyon in New Mexico, see page 6 and the Grand Canyon NP). We camped in the park at a typical national park no-frills sites -- very few sites with hookups. 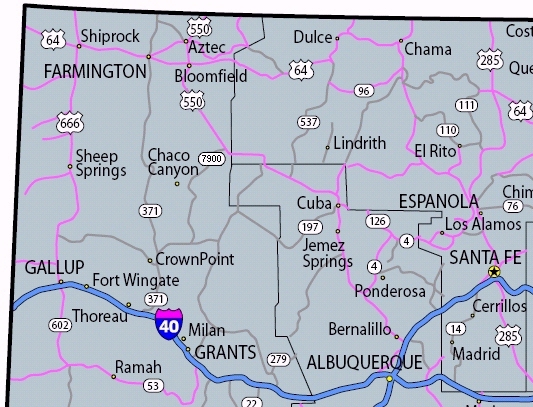 On your way back from Mesa Verde you may want see the Four Corners Monument if you are going past it -- optional. The Indians are charging to see it these days -- your Golden Age Passport won't work there.